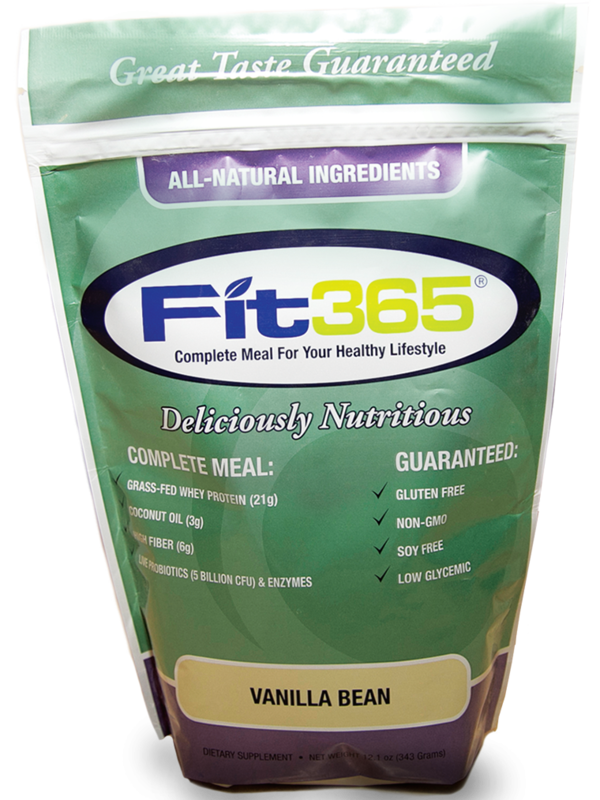 Available in Gourmet Chocolate and Vanilla Bean in a single 12.1oz bag. 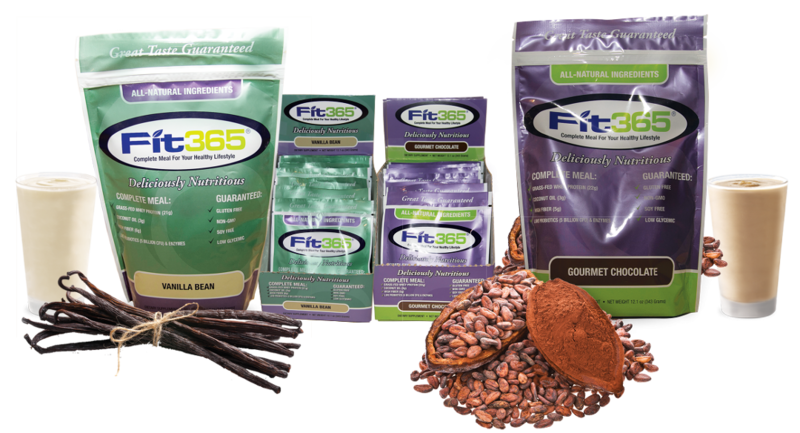 FIT 365® brings a new class of all-natural meal replacement to the market scientifically formulated to promote body fat loss, lean muscle gain, high energy, and immune system enhancement. 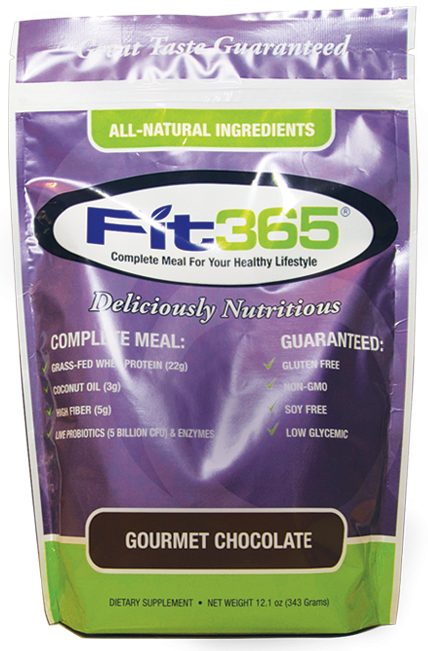 FIT 365® Year-Round Grass-Fed Native Whey Protein, organic non-GMO erythritol, organic cacao, FIT 365® Organic Fiber Blend (organic gum acacia, organic guar gum, and non-GMO xanthan gum), FIT 365® Oil Blend (coconut oil, non-GMO sunflower lecithin and borage seed oil), grass-fed colostrum, natural flavors, FIT 365® Probiotic Blend (Lactobacillus acidophilus DDS(R)-1, Bifidobacterium lactis, Bifidobacterium bifidum, and Bifidobacterium longum), silica, monk fruit extract, pink salt, FIT 365® Digestive Enzyme Blend (amylase, lactase, neutral protease, lipase, cellulase, bromelein, papain). 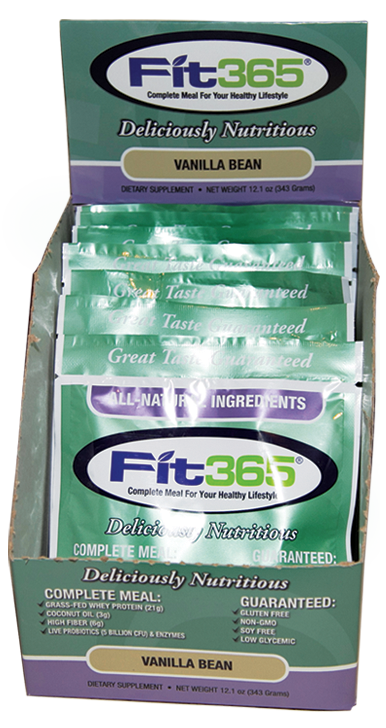 Blend 2 scoops of FIT 365® in 4 oz. to 8 oz. 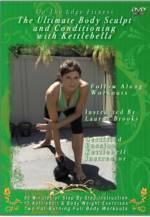 of cold water, milk, almond milk, or coconut milk as desired. 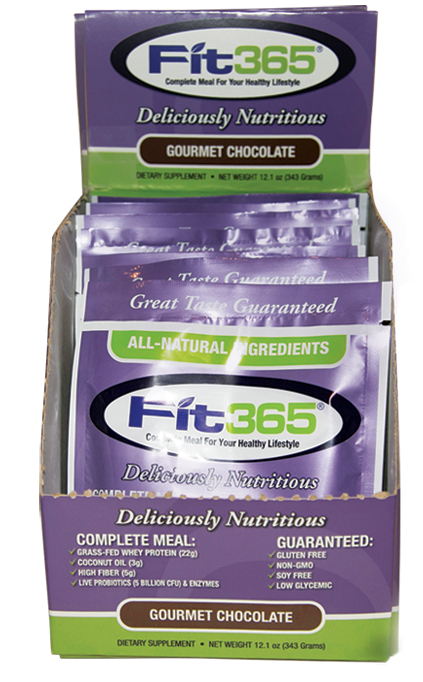 Use less liquid for a thicker shake and more liquid for a thinner shake. Use 2 scoops for a meal and 1 scoop as a snack. To create a delicious smoothie, blend with fresh or frozen fruit and ice.